The 'Map of Africa' is an extraordinary viewpoint at Wilderness Heights. 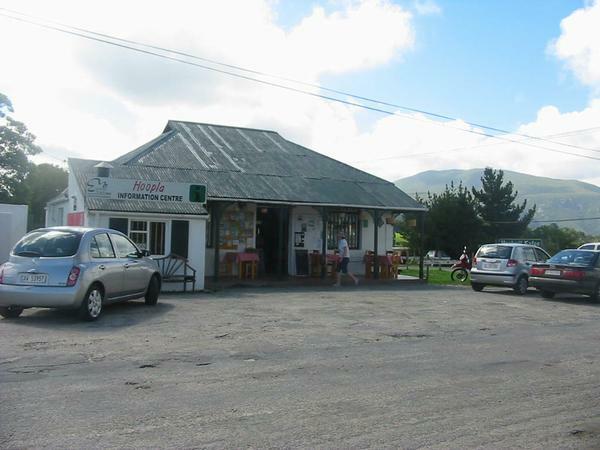 The small village of Wilderness is situated approximately 15km from George, driving on the N2 highway towards Knysna. Having traveled this road several times, I can vow it is very likely that you will see paragliders just as you have passed the Kaaimans River Bridge. The bright and colourful paragliders, soaring against the open blues skies, make a beautiful picture. The Wilderness turn-off to the left takes you to the road that leads to Wilderness Heights. Just follow the road to the T-junction and turn left again. An information board shows the direction to Map of Africa. The last stretch to the view point is gravel road, but is very well maintained. This is a popular view point and a long row of cars are parked to the side of the road over a weekend. The views on both sides are awesome. To the right is the Map of Africa view point and to the left is a paragliding take-off spot. The Map of Africa is a spectacular scene of mountains and forests. The Wilderness area is known for it’s vast number of rivers, lagoons and natural lakes, and here you get a clear view of the Kaaimans River Valley. It is amazing how the course of the Kaaimans River has the shape of the African continent. What a beautiful sight! 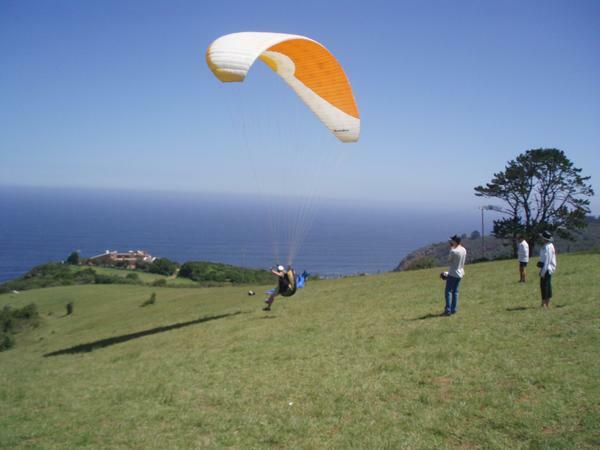 Across the road from the Map of Africa view point, is a popular paragliding launch spot. It overlooks a long stretch of wilderness beaches and from a distance you see the deep blue of the Indian Ocean. The steep heights makes it a great spot for take-off . Groups of people were sitting watching as paragliders take off - some were having a picnic and other were sunbathing in the hot sun. I was observing the stretch of green grass, and it seemed there was enough space for a soft landing. “Landing options are good”, I was thinking (in case the take-off did not go as planned). As if reading my mind, an instructor was approaching me. I was invited to do a tandem flight. Not sure if I was ready to take up the challenges of paragliding, I politely declined the offer. It is very relaxing to enjoy the fresh air, watching how paragliders run down the green slope to get airborne. They looked like huge birds soaring in the sky, free from the rush and worries of the mundane world. On our way back we took the left turn instead of going right towards Wilderness. They say a change is as good as a holiday. Not far from the turn-off is a small community, Hoekwil. We stopped at the Hoopla Information center for something cold to drink. The friendliness you experience gives this place a farming or countryside feeling. Talking to a resident from Hoekwil I was told Hoekwil is formally a farming community. I inquired about the Hoopla route as we saw a number of direction boards referring to this route. 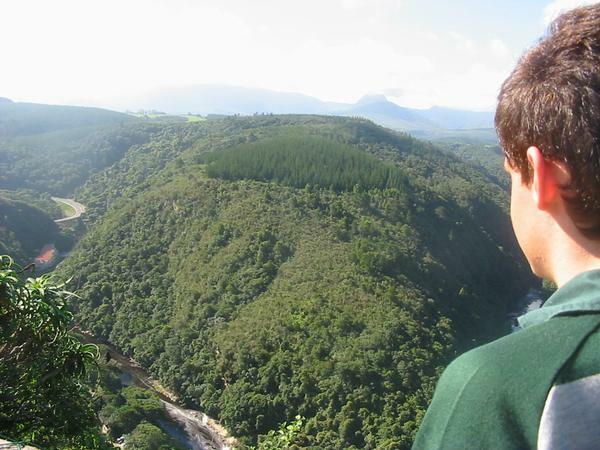 It is a 30km route, driving from Wilderness, up the Serpentine Pass, through Hoekwil, towards the Outeniqua mountains. Along this route visitors can stop at arts and crafts places. To get back onto the N2 we drove down the Serpentine Pass and saw two paragliders very close to the road. The road crosses a railway line and then takes you back to the N2. Directions: Map of Africa at Wilderness. 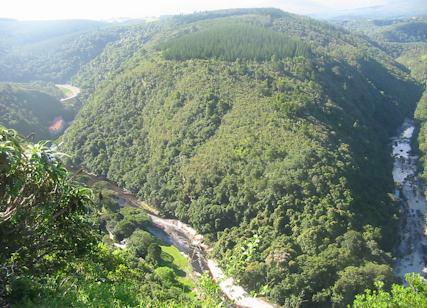 Wilderness is situated approximately 15km from George, driving on the N2 towards Knysna.